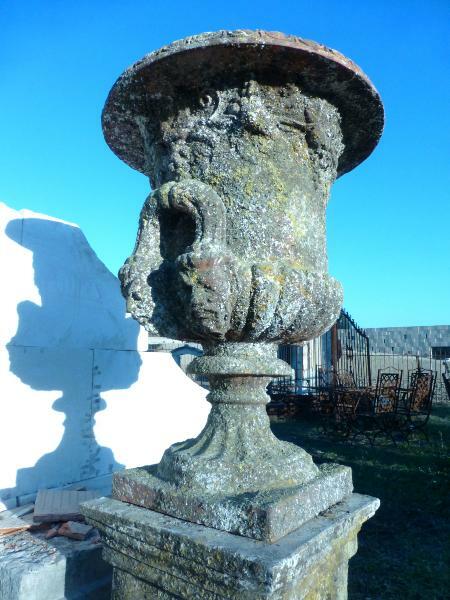 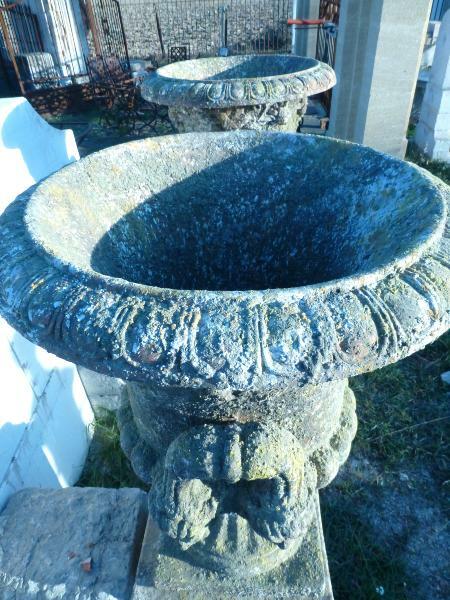 PAIR OF REONSTITUED STONE MEDICIS STYLE URNS. 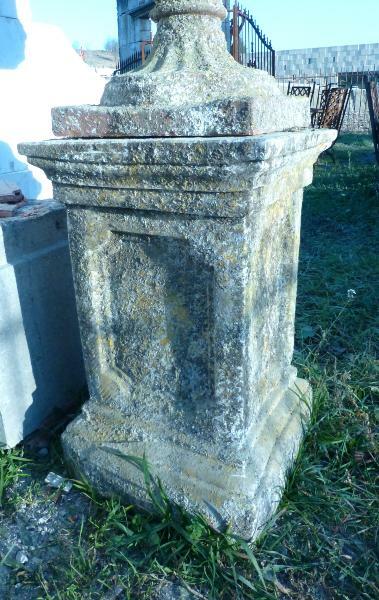 The carved grips on each side represents two humans faces and there is floral and grappes patterns on the frieze on the top. 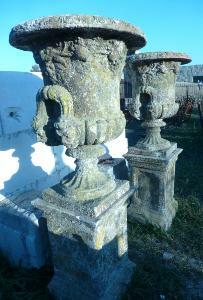 These urns are fixed on a carved terracota antiques style pedestal. 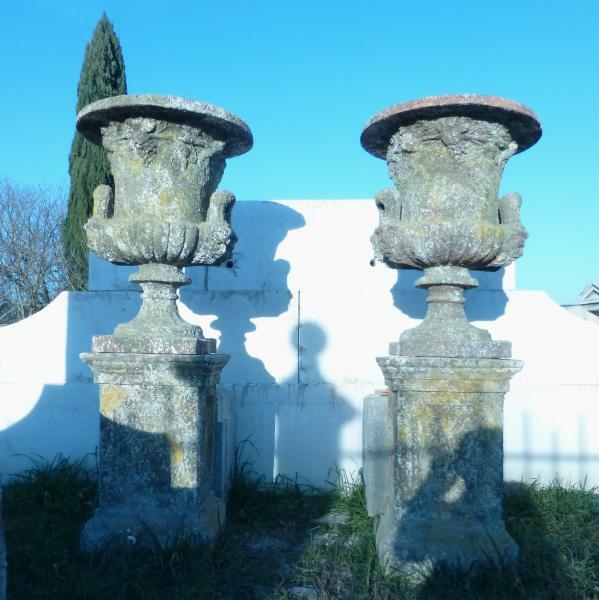 The good handcraft sculpture work and the dimensions will give a lot of charm to your garden and will develop the elegance of your exterior.